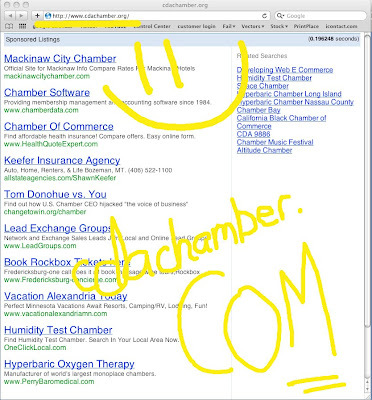 There are certain obligations one has when posting to a blog such as this. I'm thankful my husband understands his obligation is humoring me when I scream "Oh My God!! Go back! Go back!" He tries to not grumble too loudly as he finds a safe place to flip a U-turn then figures out what in the dickens I'm so excited about (which, inevitably, isn't what he wants it to be) while locating a spot to stop the car where I won't get run over by traffic while I'm jumping out, camera in hand, to capture the next, great Spelling Disaster. This peice of literary art is on the reader board at the Paul Bunyan's on Northwest Blvd in Coeur d'Alene. 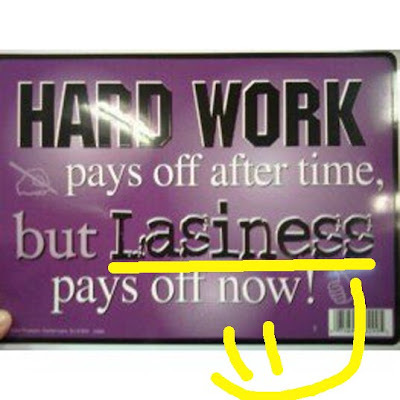 Hard work may pay off after time, but I'm not thinking lasiness pays off ever. Guess the creators of this sign were too lazy to check their spelling. As with the great spagetti/spaghetti debate, we have to wonder if Christmas is misspelled often enough, does the misspelling become correct? This gem I noticed a bit ago while wasting spending some time on Facebook. HURRY!!! 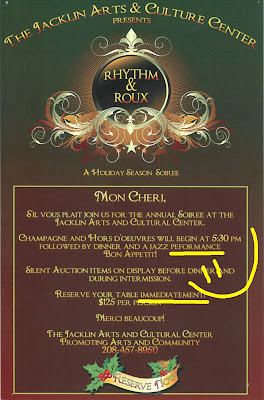 You better get your tickets immediatement so you don't miss the peformance!! And when you do, let me know what day you plan to be there. 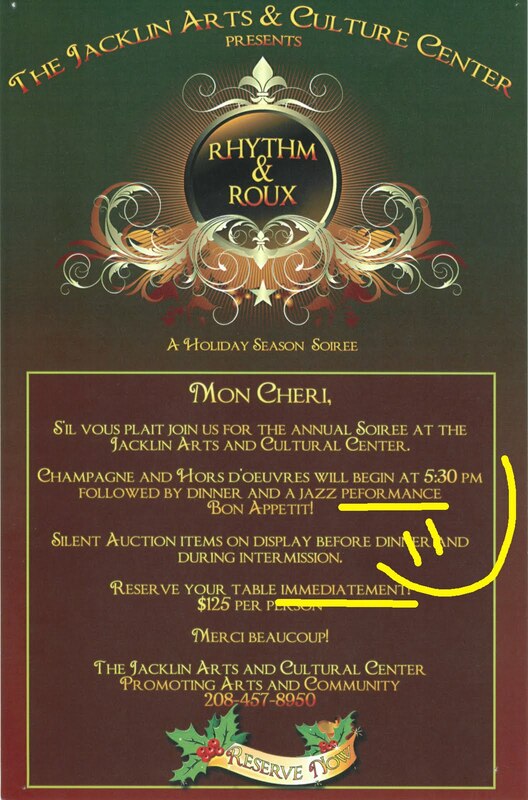 I hope the Jacklin Arts & Cultural Center uses some of the cash earned through this fundraiser to buy a spell check program. Oh, wait. Don't all computers come with a spell check program? Even if they don't, the power of proofing the copy to a couple people who didn't write or design the piece is always a good practice as is asking 5 important questions - Who? What? When? Where? Why? I was visiting the Coeur d'Alene Downtown Association's website today and thought I'd click through some of the links from the site. 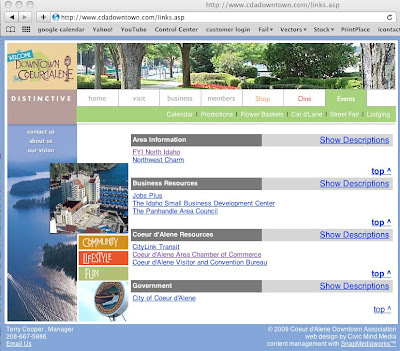 I absolutely LOVE that the link to the Coeur d'Alene Chamber of Commerce is WRONG still!! 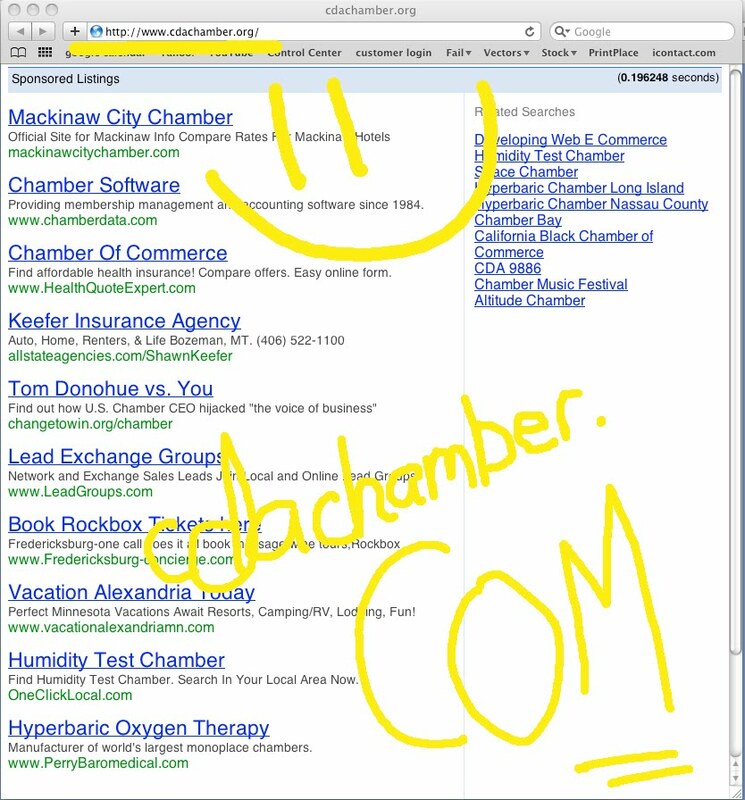 I dug around on my computer and found a screen capture from November 11, 2008... same problem. 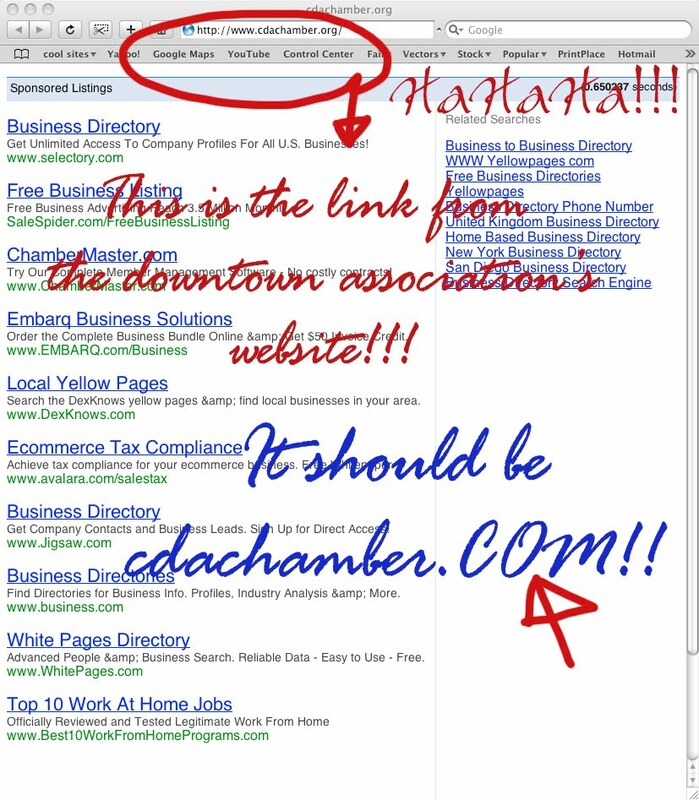 The CdA Chamber's site is a .com, not .org. 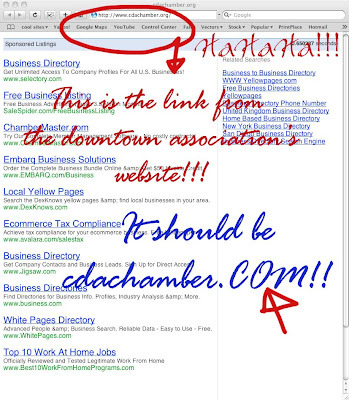 Maybe it wouldn't be a big deal if the Downtown Association wasn't a part of the Chamber. And they are located in the same building. Makes you wonder how few people must click on these links if it's been wrong for more than a year and it hasn't been fixed. 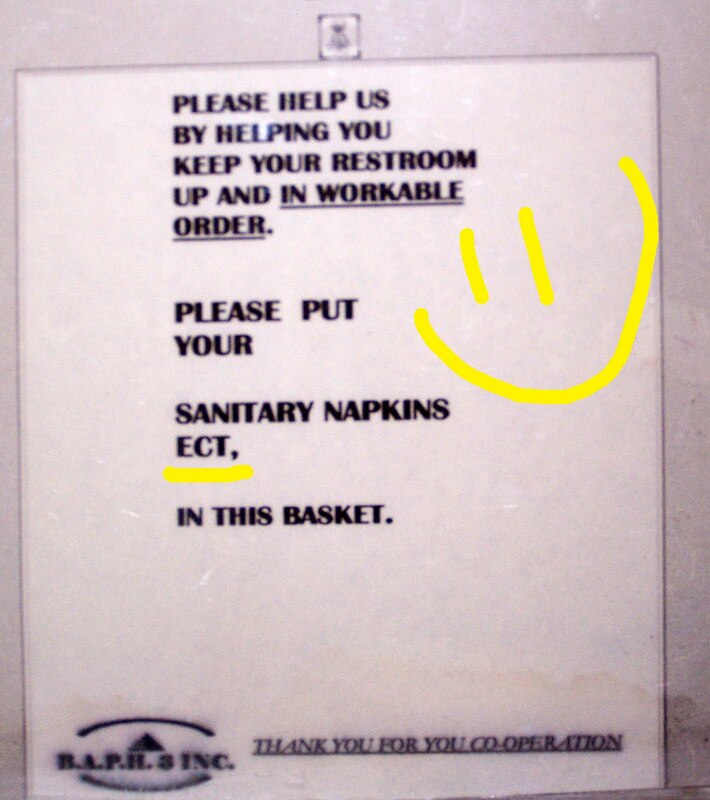 These well written signs were plastered all over a gas station restroom in Northern California. 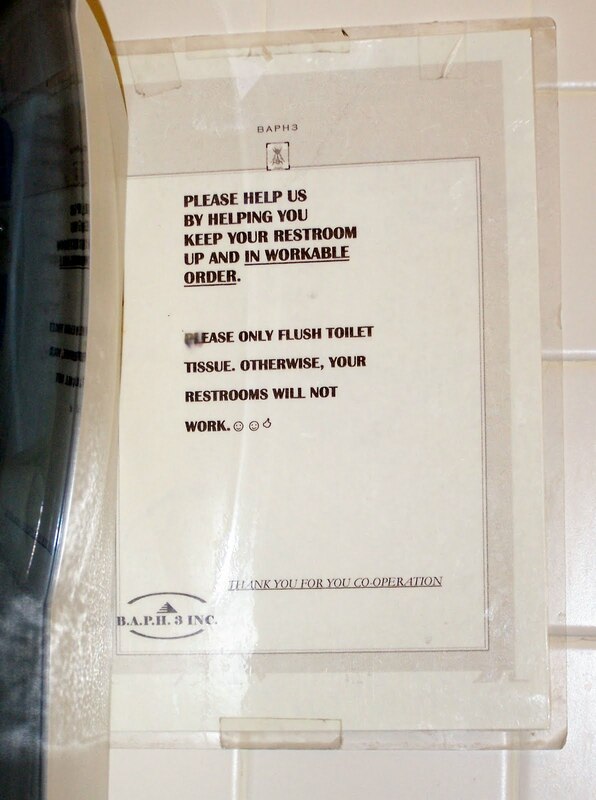 After our recent 7 state, 2,800 mile driving adventure, I can say these were by far the best of the best when it comes to bathroom signage. From the simple misspelling of the abbreviation for etcetera to the WTF "Please help us by helping you..." to the miscellaneous dingbats used - these signs are classic DISASTER! Oh you silly YoVille developers over at Zynga! There are so few words in the background scenes, yet you manage to misspell so often. 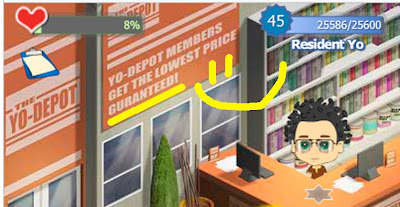 This gem is in the YoVille YoDepot. I have to wonder how these techno geeks manage to create programs that run when they can't spell words like "Guaranteed". 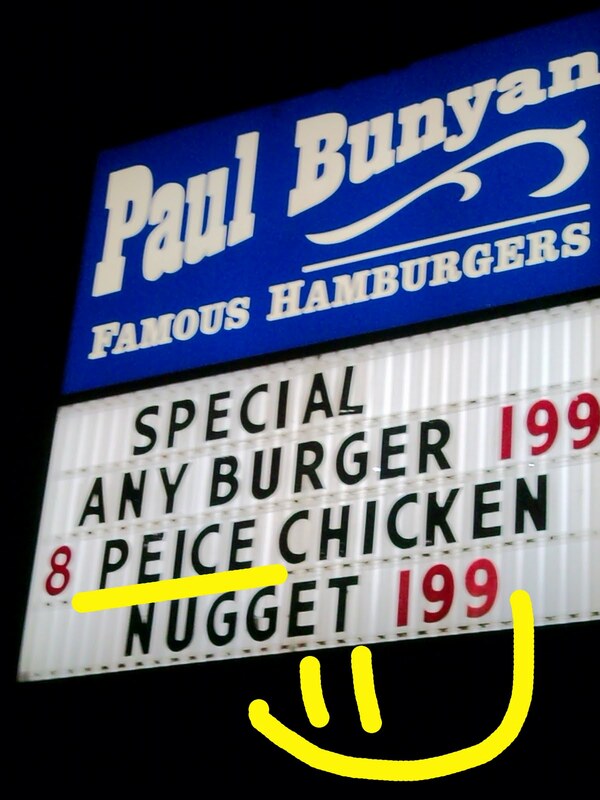 What's up with this Spelling Disaste?? Did you un out of the lette R? Ae you saving you Rs until you eally, eally need them? That's okay, Coeu d'Alene Pess. We undestand. We will suvive this lette shotage. Thanks to Megan and her eagle eyes!! She is a true suvivor!! 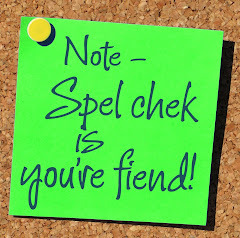 Thank you, Coeur d'Alene Press (a Hagadone Corporation company), for keeping this blog full of fabulous Spelling Disasters! This doozy though was most likely created by Blue541 (the design/marketing end of the Hagadone Corporation company) for The Floating Green Restaurant (a Hagadone Corporation company). 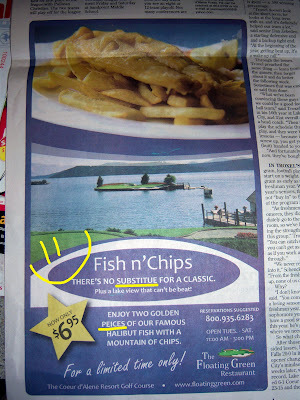 Of course we realize that "The Corporation's" ginormous gaggle of Coeur d'Alene restaurants are receiving nearly free advertising space in The Press and the designers at Blue541 are probably commissioned on that paltry, if any, fee for said advertising space, but does that excuse two very obvious Spelling Disasters from appearing in the same ad? 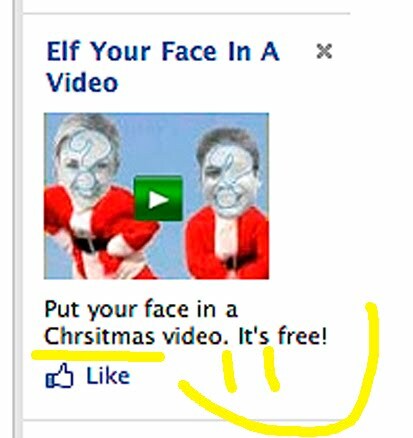 I'm going to go out on a limb here and say "No!" Thank you ginormously to Megan who has the eyes of hawk!